Open students’ eyes to a whole new world of possibilities. 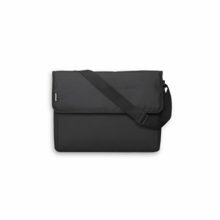 With a large capture area, the ELPDC13 lets you display virtually any object – from a two-page spread in a textbook to 3D objects or content from your smart devices. Versatile rotating camera head with intuitive 16x digital zoom and a microscope adapter to provide sharp detail and clear magnification, making it the perfect tool for a dynamic presentation. Enjoy instant interactivity with easy-to-use interactive tools. With PC-less annotation, add notes and diagrams to live images with Epson’s interactive projectors. 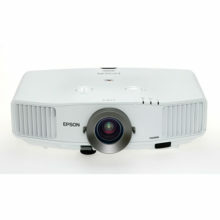 Its compatibility with Epson’s interactive projectors gives you ease-of-control to your presentations. 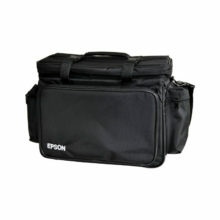 Captured images can be easily displayed by adjusting the arm position and camera head of the ELPDC13. 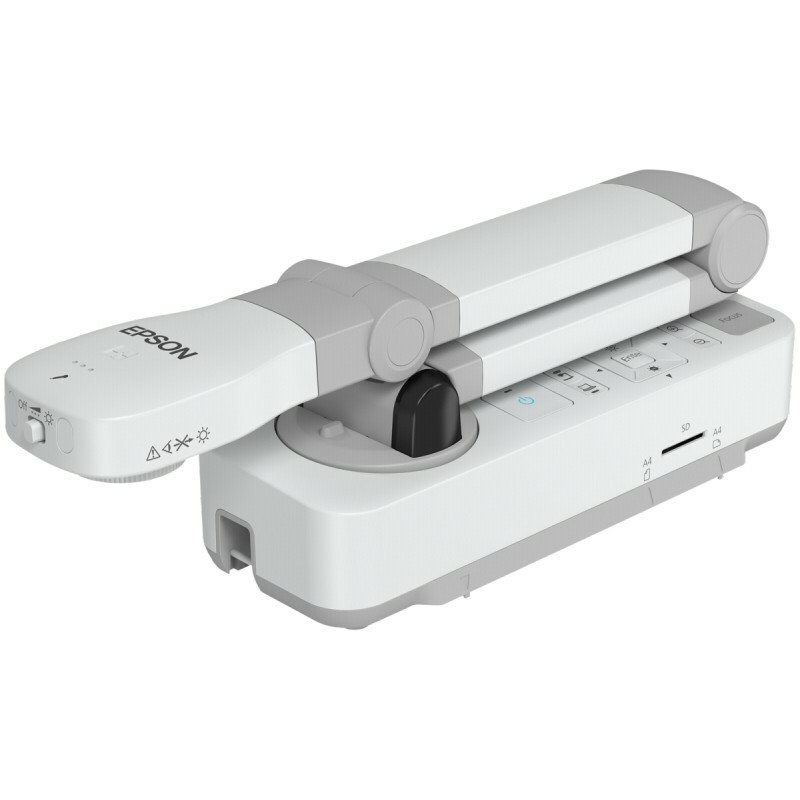 This document camera is also spacesaving with its sleek and compact design that conveniently folds into a ready-to-carry unit. Split screen capability enables projection of a live video and still image from a SD card. The versatile remote controller works for both document camera and projector.Using the split screen, viewers can enjoy both still and moving images. Now, it’s easier than ever to capture creative lessons and share them later with other students. Use the document camera and built-in microphone to record classroom demonstrations and projects. Then, play them back for students who missed the class. The built-in LED light illuminates objects so that you can project objects clearly even if the surrounding area is dimly lit. Enjoy convenient one-touch button to freeze, focus, capture and video record the images.